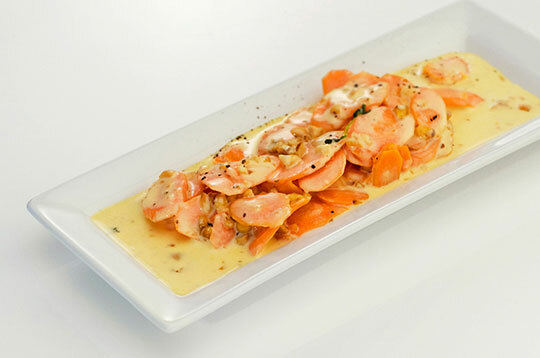 In a large frying pan, melt butter over medium heat and cook carrots until tender. Add honey and thyme; stir to coat carrots. Add hazelnuts and cream. Salt and pepper, to taste. Continue cooking 3 minutes. Serve as a side dish.